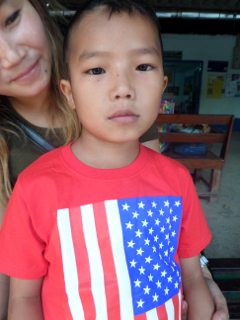 Htoi Aung is a 9 year old boy who came to BCMF in January 2013 after being diagnosed with severe cardiac disease. Growing up in Kachin State, Burma, Htoi Aung was surrounded by violent conflict and his family was forced to relocate numerous times for safety. Htoi Aung’s condition caused him to experience extreme fevers and cyanosis as a child. He was lethargic, experiencing constant extreme fatigue and often had difficulty breathing. 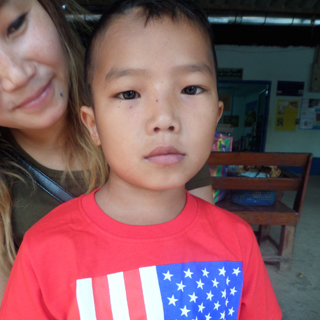 As Htoi Aung grew older, he developed severe joint pain that made it difficult for him to move. By the time he was seven years old, it was nearly impossible for him to sleep, eat, walk, or play. Although Htoi Aung’s family worked hard to earn enough money to survive, their frequent displacement as a result of conflict made paying for health care impossible. The cycle of suffering was broken when Htoi Aung’s mother learned about Mae Tao Clinic (MTC) from a village nurse. They received logistical assistance from the nurse to travel the four days and three nights needed to reach the MTC where Htoi Aung was immediately referred to BCMF for care. Due to the severity of his condition, he was put on the first available patient van to travel to Chiang Mai.